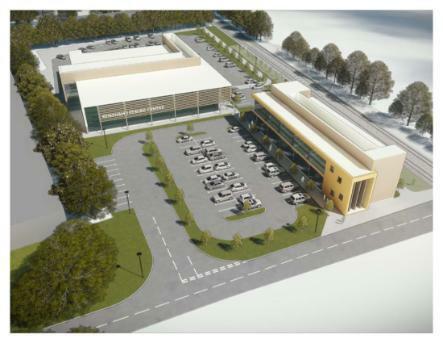 Recommendations for a new £20m leisure centre and commercial space in Bingham have been approved by Rushcliffe Borough Council’s Cabinet. Specialist independent consultants worked with the authority to produce the plan having explored options to develop the site in line with the Bingham Masterplan. The proposals included a new swimming pool, fitness gym, exercise studios, community hall and serviced offices on land owned by the authority on Chapel Lane in the town, north of the town’s railway line. Rushcliffe Borough Council’s Deputy Leader and Chair of the Bingham Growth Board Cllr Debbie Mason said the report identifies the site could create up to 90 new jobs. Prior to the decision on the recommendations she said: “The recommendations of the report highlight a significant change in the quality of leisure provision available for residents in Bingham and the surrounding area, should it come to fruition. More detailed designs will now created, leading to an application for planning permission to be submitted at the end of the year. This could see a new centre open in 2022.